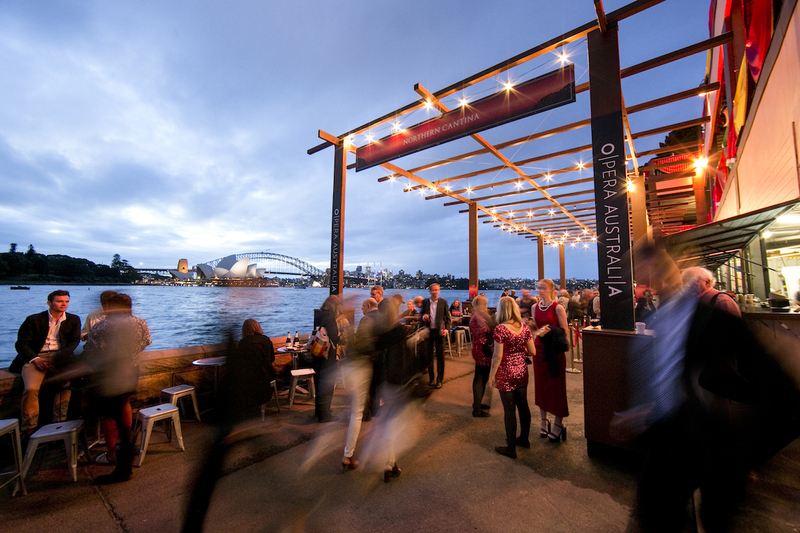 If you haven’t yet seen Opera Australia’s West Side Story at the impressive Handa Opera on Sydney Harbour – there’s still time. The season ends on Sunday 21 April over the Easter weekend and it’s one not to miss. With spectacular views over Sydney Harbour at the top of the Fleet Steps at Mrs Macquaries Point, there is no better setting to experience a production bursting with colour and movement. Dubbed the modern-day Romeo and Juliet, Jerome Robbins’ timeless love story retold by director Francesca Zambello highlights the rivalry between Puerto Rican and Anglo-American youth in Brooklyn in the 1950s. Set on a floating stage with awe-inspiring views of the city’s iconic harbour, the show is an exceptional array of energetic song and dance. The explosive pyrotechnic display of fireworks – which happens during every evening’s show – tops the night, complementing the high vigour on the stage. The production is a flamboyant display of colourful costumes that exude the clash between the gangs – the Jets in cool denim and khaki greens and the Sharks in warm tones – and of high-energy choreography set against a backdrop of graffitied New York streets and subways. The eclectic melting pot of music, from jazz and classical to mambo and opera, is ignited by a live orchestra playing Leonard Bernstein’s score, while the voices of Alexander Lewis (Tony), Julie Lea Goodwin (Maria) and Karli Dinardo (Anita) bring heartfelt Broadway favourites such as ‘Maria’, ‘America’, ‘I Feel Pretty’ and ‘Somewhere’ to life. 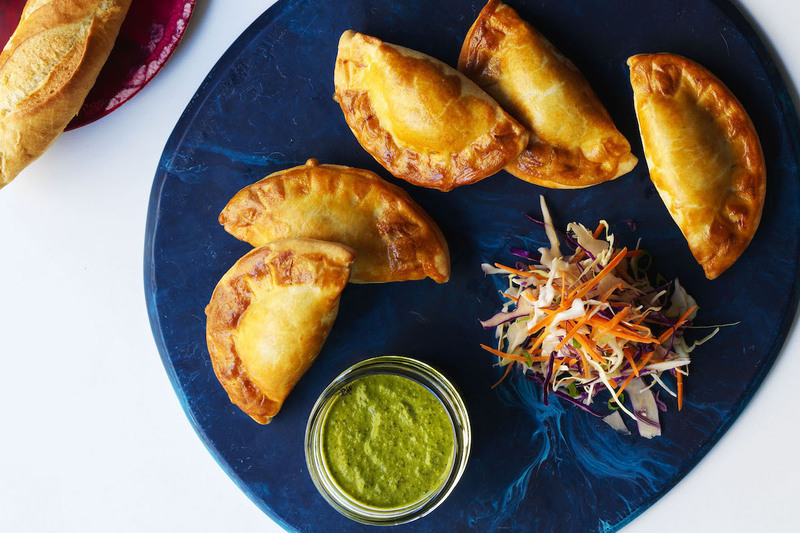 To make the evening even more memorable, get in early to enjoy the sunset over the harbour with Latin American-inspired bites to set the scene and a couple of drinks to soak up the view for longer. 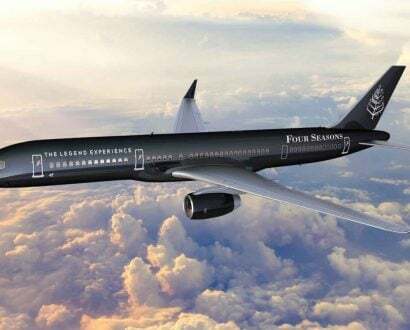 The range of dining experiences on offer is extensive – from a laid-back pre-dinner show on the Northern Terrace, to a casual 1950s-themed American diner – or a more luxurious evening at the Platinum Club. Pop-up dining at its finest, the Travel Associates Platinum Club dining room and adjoining bar overlooks the spectacular Sydney Harbour. 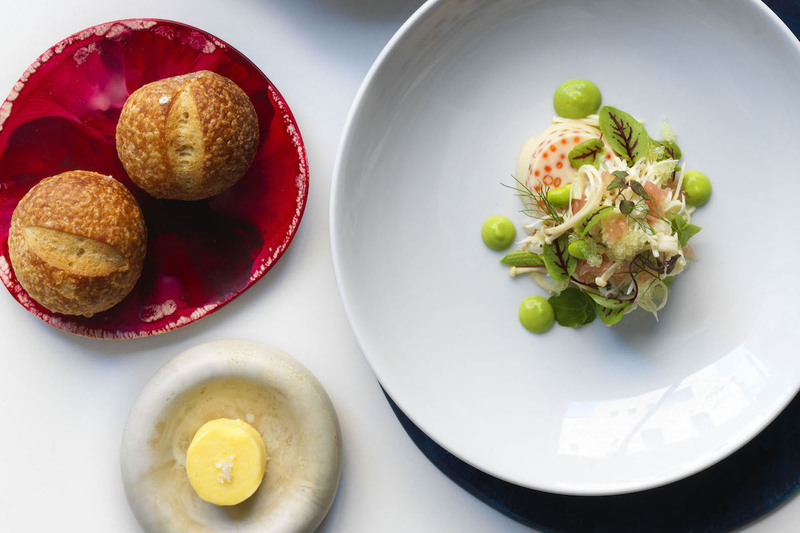 Complete with table service, The Fresh Collective’s award-winning chefs plate up an indulgent modern Australian menu paired with the Hunter Valley's Tyrrell’s Wines. 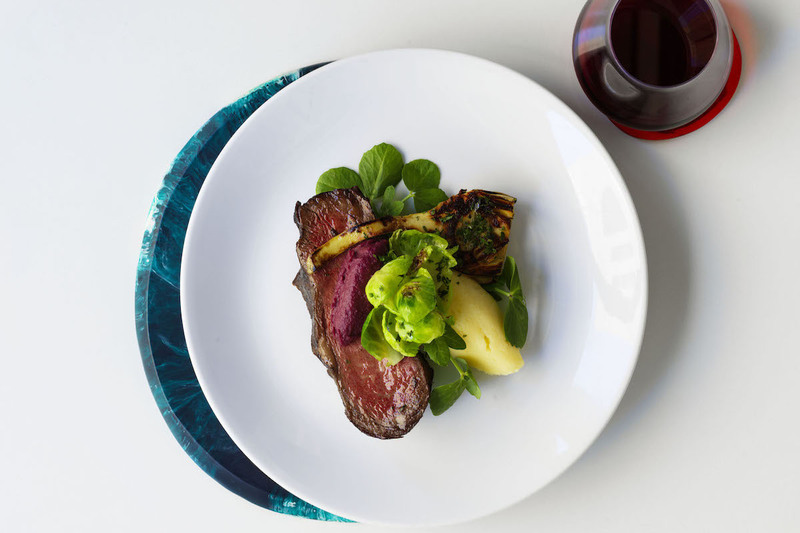 Diners can sit back and enjoy an impressive set menu featuring dishes such as spanner crab and celeriac salad with smoked roe, pomelo and spring-pea coulis to start, followed by slow-roasted beef rump cap with Nicola potato puree, sprouted grains and charred baby onion jus. Pop-up dining at its finest, the Platinum Club’s dining room and adjoining bar overlooks the spectacular Sydney Harbour. To finish, a decadent chocolate mousse dome is served with roasted red plum, urban honey and bee pollen – or a cheese selection with quince paste and dried fruit – accompanied by coffee or tea before the show starts. There is also a buffet on offer at the Platinum Club, which draws inspiration from modern American and Puerto Rican cuisines in theme with the West Side Story show. Over a glass or two of Tyrrell’s Wines, diners can graze on dishes such as spiced seafood escabeche, stuffed peppers with creole rice and guisado-marinated pork skewers. Be sure to save room for delectable desserts including dulce de leche blondies, key lime and banana trifle and bread pudding with rum-soaked raisins. 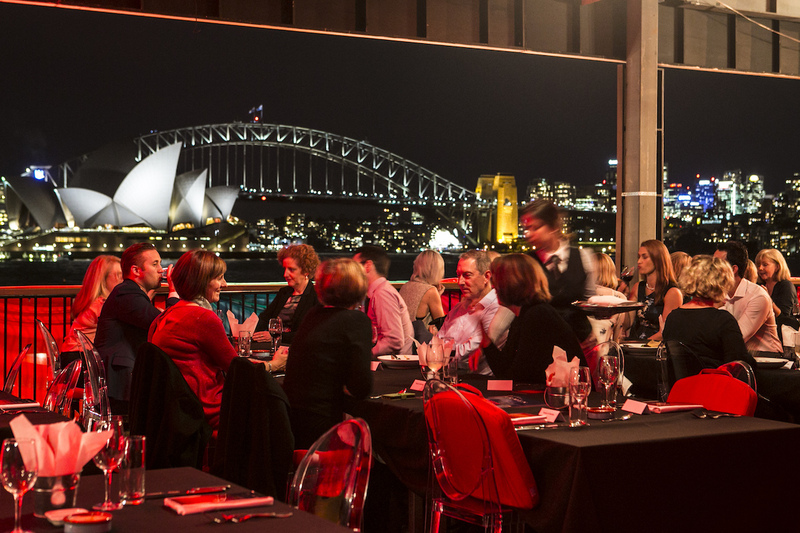 If you prefer a casual setting, the Northern Terrace offers a relaxed dining experience, still with incredible views over Sydney Harbour. 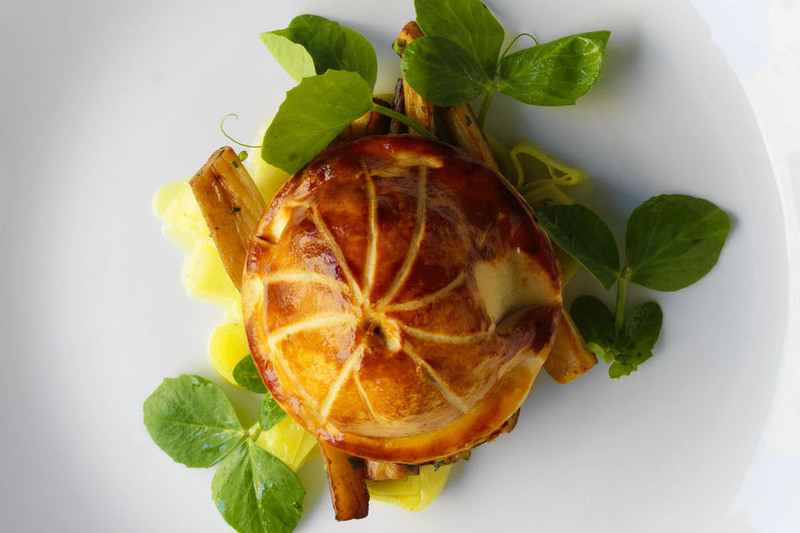 The Latino-inspired selections include blackened salmon with papaya mojo, villapol chicken with stuffed olives, raisins and lime, and a hearty traditional vegetable pot pie with chestnuts – perfect for the cooler evenings. Meanwhile, the Southern Terrace is transformed into a 1950s-style American diner, complete with old-fashioned burgers and fries, such as the Jet Burger: a Wagyu beef pattie with American cheese, tomato, lettuce and house pickles. A classic pumpkin pecan pie or peanut butter caramel chocolate mousse with cookie crumbs satisfies any sweet cravings before the show starts. 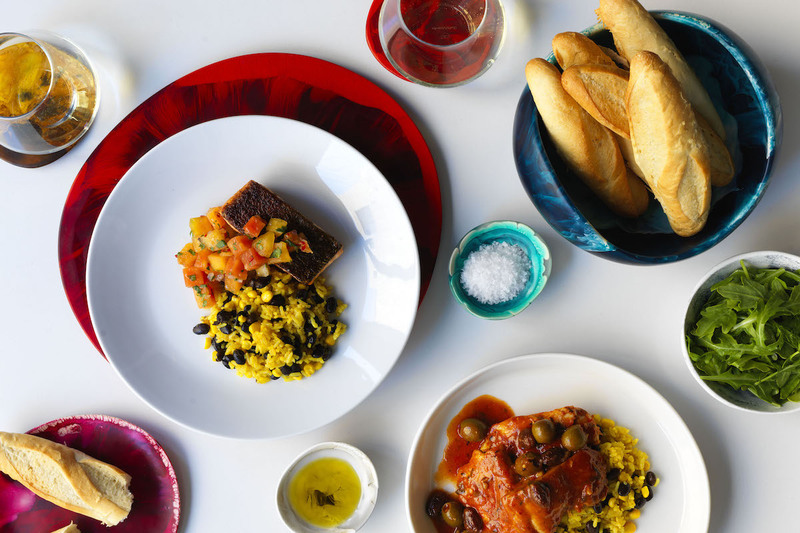 The Northern Cantina also offers pre-show share plates such as a chorizo, roasted pepper and cumin tart with wild rocket and citrus dressing, as well as mains including a slow-cooked beef sancocho casserole with pumpkin, corn, oregano and fresh lime. 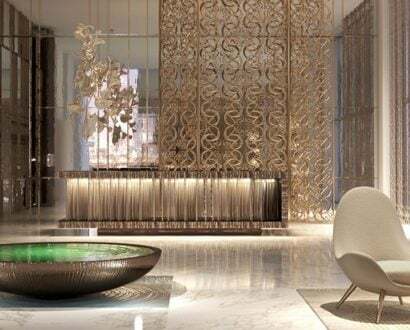 The Sparkling & Oyster Bars offer Spanish charcuterie with corn crisps and aioli or Pambula oysters with sherry vinegar and cured shallots to go with a glass of bubbles to have in hand throughout the evening. You'll also find churros with cinnamon sugar and chocolate chilli sauce. 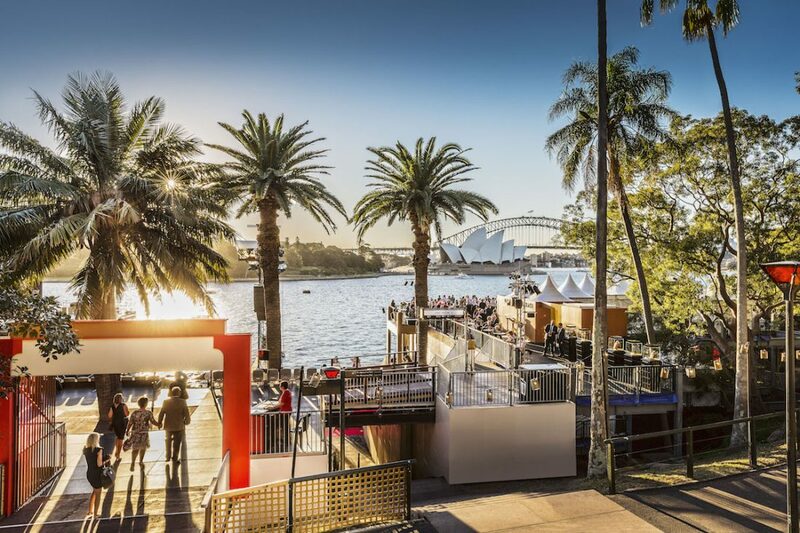 Whether you indulge in a Platinum Club dining experience or a more laidback pre-show bite at the Handa Opera, it will be complete with a waterfront sunset over Sydney Harbour – followed by a not-to-be-missed production .